Located in a prime position in a private, elevated estate, is this unique 4 bed + media room designer home. 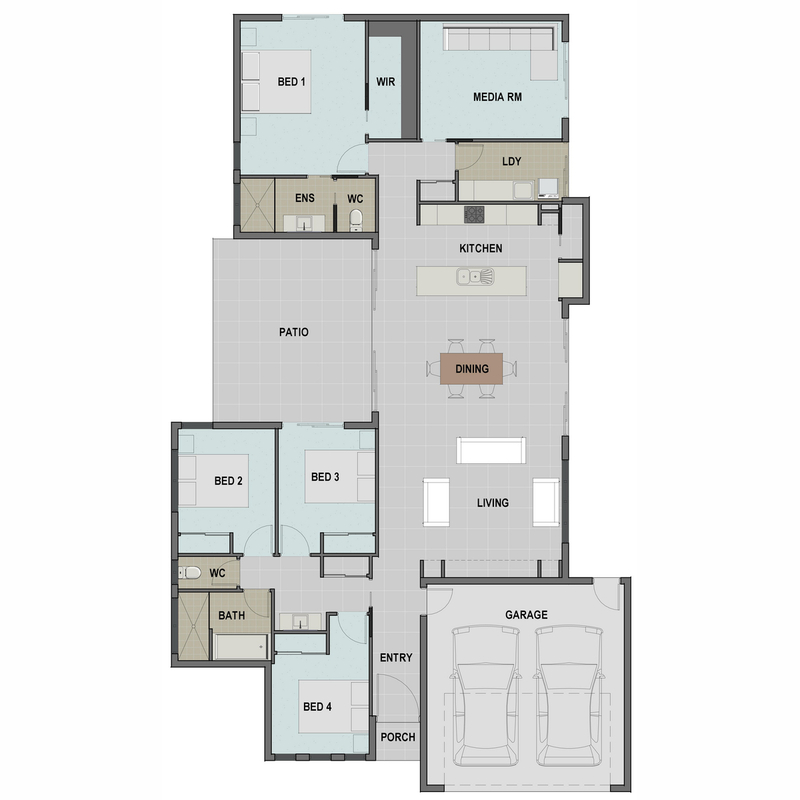 Centred around family needs, beds 2,3 & 4 are placed toward the front of the home, with equal access to a spacious family bathroom, powder room & separate wc, with bed 2 having its own direct patio access. The master bedrooms sits privately to the rear of the home & boasts a classy ensuite & over sized walk in robe. The layout is all about family & functionality, with a gourmet kitchen, complete with walk in pantry, overlooking the dining & living areas and opening to the patio. The separate media room can be closed off for the full cinematic experience. Features niches to the living room create an extra screen area, and sliding doors to both sides of the dining room providing true open plan living allowing for cross breezes. 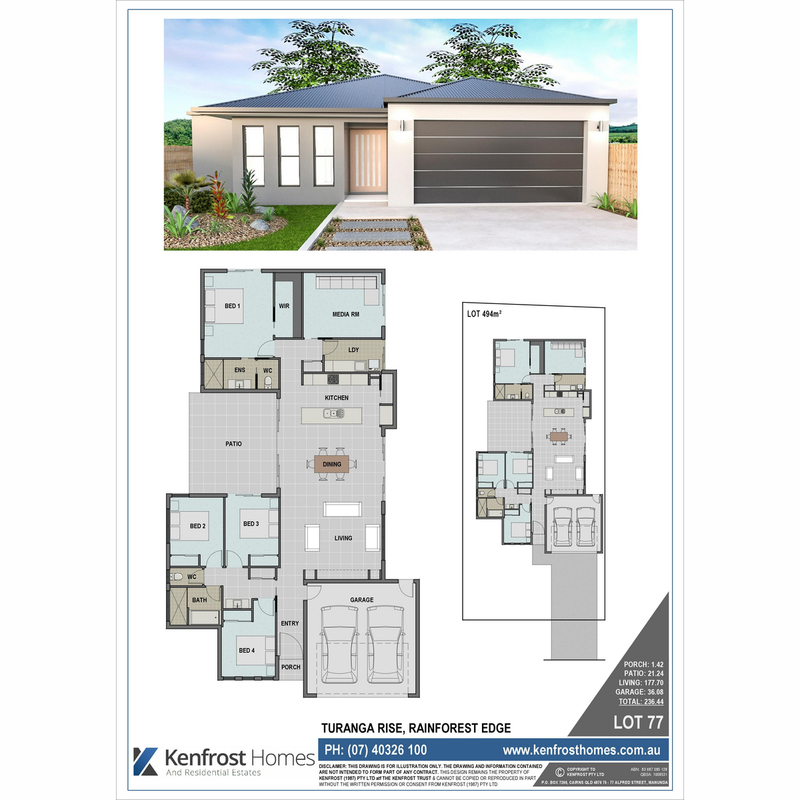 Executive inclusions throughout incorporating porcelain tiles, stone tops, gloss cabinetry, modern fixtures & fittings polish this already stylish home.